Camping Verdelago, located on the shores of Lake Orta, in the immediate vicinity of Orta and the island of San Giulio, enjoys a spectacular view and is surrounded by wooded mountains that are reflected in the calm waters of Lake Orta. Ideal place to spend a pleasant and relaxing. It has, among many services, of: private sandy beach, pizza restaurant and bar, games for children, bathroom with hot and cold showers, dishwashers and washing area with washing machine and parking. 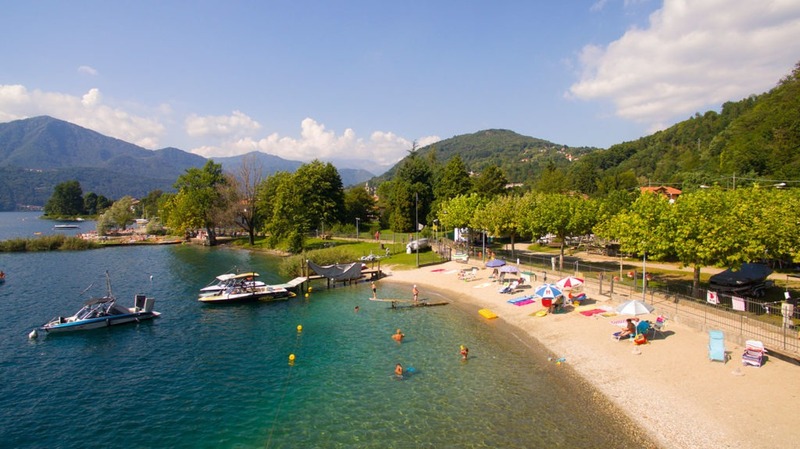 The strategic location of Green Lake camping allows you to reach by public or private, in half an hour or so, other famous places situated on Lake Orta, which, besides the famous Orta San Giulio, Omega, and Pella the Sanctuary of Madonna del Sasso. Or head to the Lake Maggiore, for a visit to Stresa and the famous Borromean Islands in Verbania, Cannobio and still in Mergozzo on the lake. For nature lovers and hikers are multiple paths to the Mount Mottarone situated behind the campsite. The recent opening of Pizzeria ristorante The Cormorant on the campsite, complete the offer for a holiday and an ideal stay.